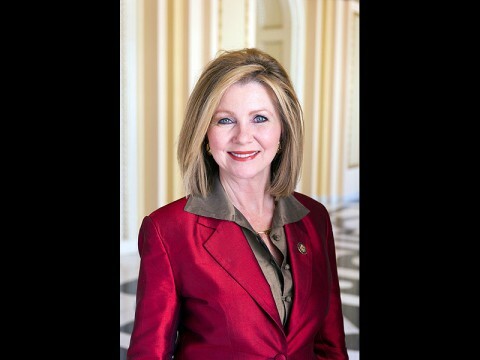 Nashville, TN – On Wednesday, March 15th, U.S. President Donald Trump arrived in Nashville to honor President Andrew Jackson at his tomb, on his 250th birthday. The President addressed members of the Tennessee General Assembly at the Hermitage before making his way back to Nashville to speak before thousands of supporters. 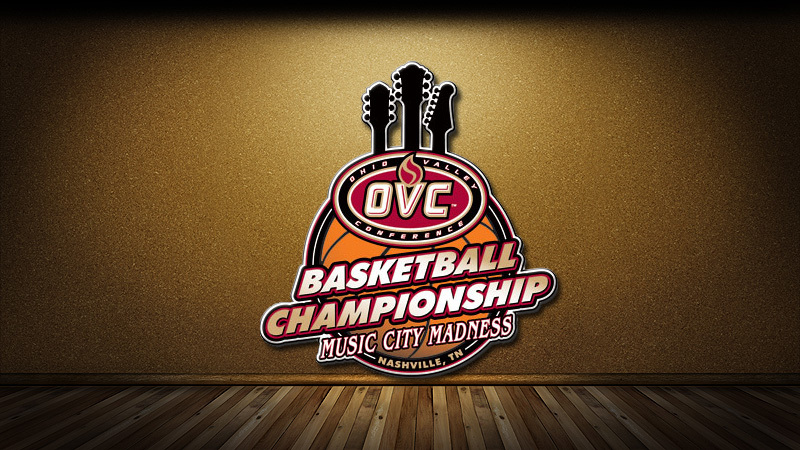 The Municipal Auditorium was quickly filled to capacity; 30,000 supporters were unable to enter the venue after hours of waiting. 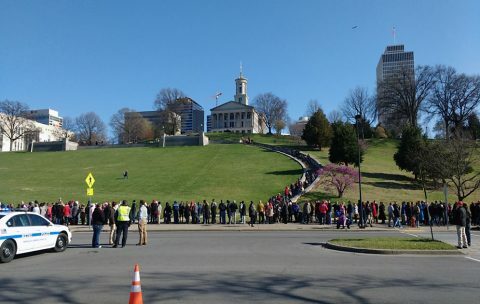 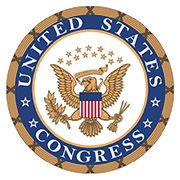 The line at the auditorium developed early in the morning, and by the late afternoon, the line stretched the length of James Robertson Parkway, around the Capitol building, and back down Charlotte Street. People waiting in line at the Municipal Auditorium to see President Donald Trump. 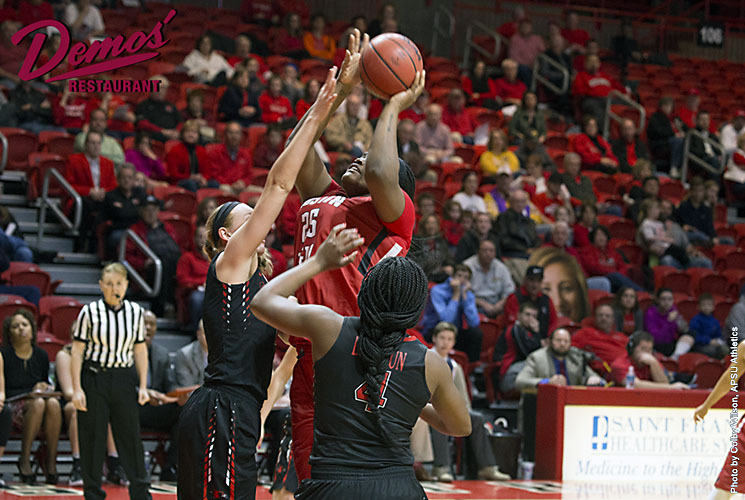 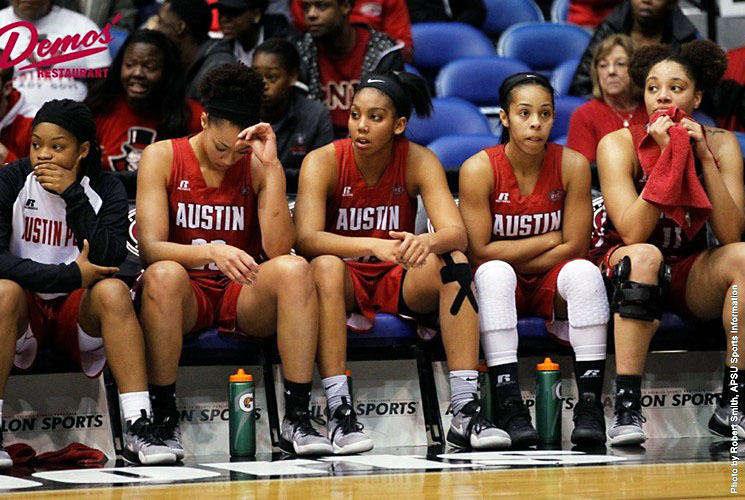 Nashville, TN – The 2016-17 season came to an end for Austin Peay State University women’s basketball team after a 59-43 loss to UT Martin, Thursday, in the Municipal Auditorium. 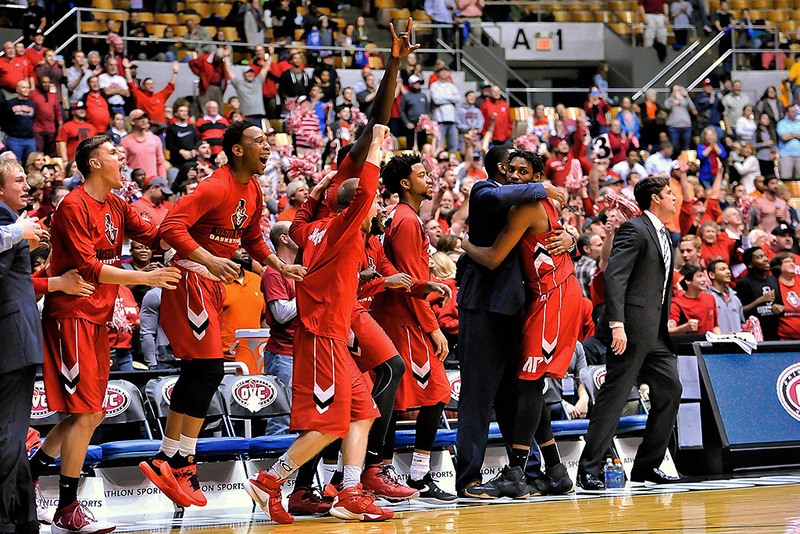 The Governors finish the season with a 14-16 record – the most wins since 2010-11. Nashville, TN – On Thursday, March 2nd, 2017, the Austin Peay State University women’s basketball team will play in it’s third consecutive Ohio Valley Conference Tournament appearance when it faces UT Martin at 1:000pm in opening round action at Nashville’s Municipal Auditorium. It will be APSU’s 23rd postseason trip dating back to 1982. Clarksville, TN – For the first time since the 2007-08 season March Madness has found its way back to Clarksville and Austin Peay with the Governors making a magical run through the Ohio Valley Conference Tournament to earn the conference’s automatic berth into the NCAA Tournament field of 68 teams. 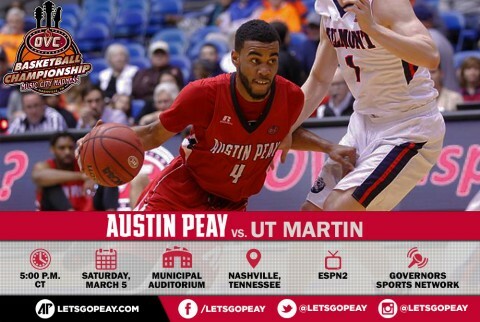 And it was the magic night after night that the NCAA plays up this time of year that seemed to power Austin Peay, with the Govs playing four games in a span of 71 hours against four higher seeds – who had up until the tournament – had posted a 5-0 record against Austin Peay this season. 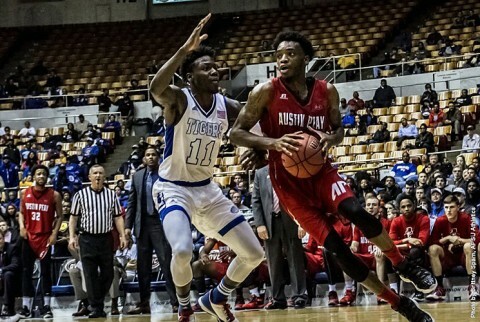 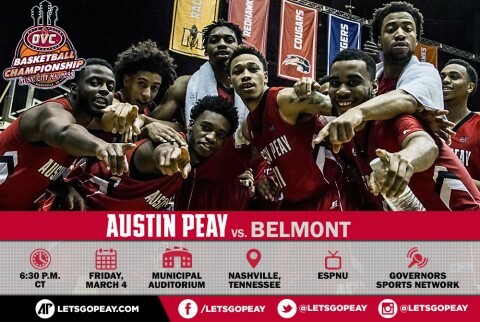 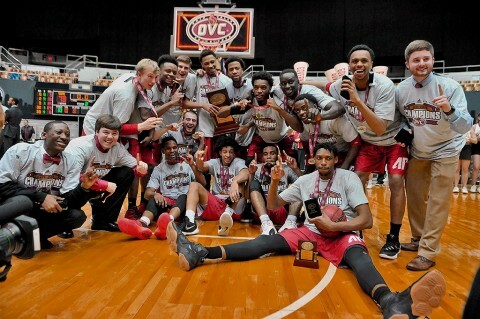 Clarksville, TN – Join APSU at 4:30pm Friday, March 4th, at the 5th Avenue entrance to Municipal Auditorium to show your support for the Governors as they battle top-seeded Belmont in the Ohio Valley Conference Tournament semifinals.